Play at the online poker sites with the best bonus! Nearly every online poker site that hopes to build their player base offers an online poker bonus. For a lot of people, the bonus is the deciding factor in choosing where they play. The bigger, the better. However, even though some online poker bonuses are bigger than others, it’s not always clear which ones are the best. It’s important to realize that a huge bonus may be more difficult to earn out than a smaller one. In some cases, it may be next to impossible to earn out before it expires. That said, for most people, the bonuses continue to be one of the most compelling promotions offered by online poker sites. Simply put, they attract players. We’ll help you sort through your options on this page. First, we’ll briefly explain an activity known as online poker bonus whoring used by a lot of players to build their bankroll. We’ll then list other criteria that are important when choosing where to play. Lastly, we’ll provide a few recommendations for U.S. poker sites offering generous on line poker bonuses. At its simplest, bonus whoring involves maximizing the online poker bonuses that are offered at select sites. You choose a poker site, and commit to playing there until you have unlocked your entire bonus. Once you have done so, you move on to another site to repeat the process. That’s a bird’s-eye view of the strategy. There’s a lot more to it than meets the eye, and you could spend a substantial amount of time finding ways to grind out your bonuses. 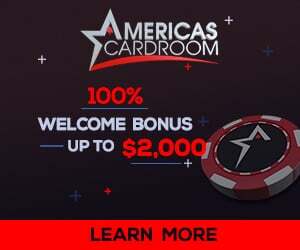 Those who are experienced with bonus whoring recommend starting at poker sites that have the highest clearance rates based on how the bonuses are earned out. A lot of people take this activity to outrageous ends. They develop complex strategies that take into account the stakes you should play along with the optimal number of raked hands. There are also strategies for bonus whoring on a budget as well as doing so when starting with a large bankroll. We prefer to find a few poker sites that meet our preferences, and focus on becoming better players. We may cover on line poker bonus whoring in more detail down the road, but for now, it’s enough to realize a lot of people do it. There are a lot of factors that dovetail to make the experience at any given poker site memorable. Large bonuses alone are not enough. You want to play at a site that offers well-designed, easy-to-use poker software. You also want access to a reasonable volume of player traffic. Unless you’re a diehard Texas Holdem poker player with absolutely no interest in other games, you want plenty of game variety. You also want there to be a fair amount of fish at the tables; it’s easier to build your bankroll playing against fish than to do so with bonus whoring. A well-trained customer support team should also be a priority. Whether you confront problems making a deposit, navigating through the site’s poker software, or withdrawing funds, you’ll find responsive support to be invaluable. Again, don’t simply consider online poker bonuses when choosing a site. There are other factors that are just as important. BetOnline Poker – BetOnline has actually been involved in online gambling for twenty years. But they stepped into online poker in 2010. Most of their tables are currently focused on holdem and Omaha, so the variety of games is somewhat lacking. If you’re a holdem fan, you may not notice. Traffic is steady, and not surprisingly, most of the action can be found at the lower – and even micro – stakes. They have a respectable list of tournaments, including rebuy and deep stack events. Visit BetOnline.com to check out their latest promotions. Intertops Poker – They run on the Cake Network, which means you’ll be able to tap into the player traffic coming from several other sites. Intertops has been involved in online gambling since 1996, so they have plenty of experience in creating an engaging playing environment. You’ll find both holdem and Omaha as well as 7-Card Stud and Stud Hi/Lo. Intertops also maintains a full tournament schedule with SNGs and MTTs taking place around the clock. If you have played at other poker sites on the Cake network, you’ll already be familiar with the software. It’s attractive and intuitive. Visit Intertops.com, and claim a 110% match bonus up to $600. Even though there are fewer U.S. poker sites than ever, there are still those that offer generous online poker bonuses. We’ll update this page periodically to reflect the latest top offers.